Don\xCDt just pile on the blankets or heating pads next time you\xCDre looking for warmth, become toasty with just one blanket. The tan Biddeford heated throw with analog control is a safe way to stay warm on the cold night camping trips or lounging around the house! 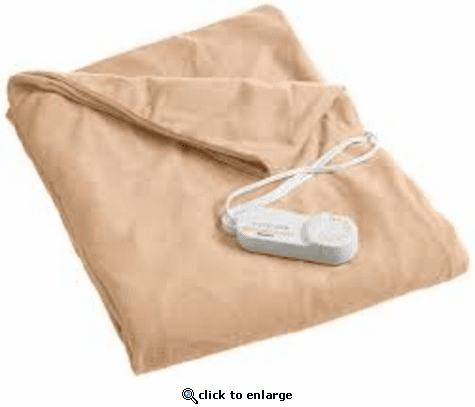 These wonderful heated blankets allow you to rest comfortably and safely. The analog control with 10 heat settings and 10 hour auto-off also features an extra-long 13 foot cord.